In the last few years, ICR has expanded its creation resources to meet the needs of students, elementary-age children, and beginning readers. But as the father of a baby and a toddler, ICR Media Production Engineer James Turner couldn’t help but see the need for simple books that could give kids a strong biblical creation foundation during their earliest years. “Young kids like mine tend to be rough with books, sometimes tearing the pages. Can we make something a little sturdier for them?” James said. To fill the need, he picked up a pen and started writing ICR’s Little Creation Books series. The series begins with the newly released 6 Days of Creation. Each page explores God’s “very good” work, from the stars in the sky to the first people on Earth. Parents of preschoolers can use 6 Days of Creation to bring the facts down to simple terms their kids can understand. The colorful illustrations pop off the page to keep them engaged. It’s often said, “The days are long, but the years are short.” James recognizes how quickly those early years can pass. He says, "The first few years for a child are so foundational. They are able to learn and absorb much more than we could ever imagine. It’s crucial that we reach them during their earliest years. That’s why I’m so passionate about these board books." Parents of preschoolers can use 6 Days of Creation to bring the facts down to simple terms their kids can understand. 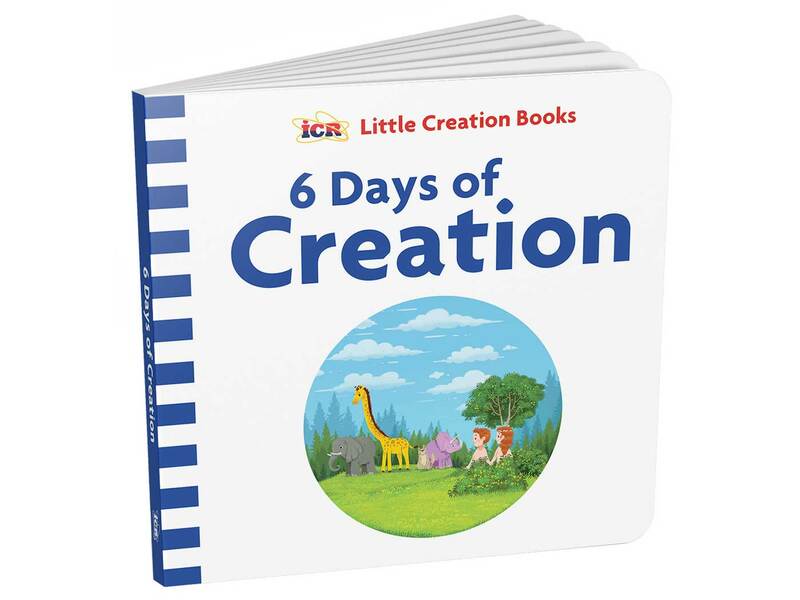 What topics will the Little Creation Books series address next? According to James, "We’ve got more in this series coming soon, and I can’t wait to get them in the hands of young families like mine. We’ll cover creation basics about dinosaurs, the Flood, people, and more! It is my prayer that these Little Creation Books will help plant a seed for the next generation before they ever encounter evolutionary deception." Get the Little Creation Books series here.